Professionally trained industrial/product and lighting designer and furniture maker. Having studied in Australia and the U.S. at Parsons school of design. Has worked in the industry for a number of years until recently starting their own design brand, ‘Bcompact design’ in 2011. Specialising in compact, space saving and environmentally sustainable furniture, lighting and products. ‘Protohub’ studio/workshop and showroom in Darlinghurst, Sydney, was created to facilitate young and emerging designers and to be a collective work space for all creative's to share, collaborate and show their work from. Gardens at Night are Australia’s premier exterior and landscape lighting professionals with showrooms in both Melbourne and Sydney. Established over 20 years ago, we have both the experience and specialist staff to design, supply and manage the installation of both residential and light commercial projects. Our designers, working in the most up to date CAD systems, specialise in the most energy efficient systems, ensuring that your system and products are the most efficient available.Our staff comes from the landscape, design and electrical industries, bringing a very wide and balanced range of experience to your project. Workshopped identifies great Australian design and brings it to local and international attention. The Workshopped exhibitions are the first step in the process. Workshopped exhibitions assist in sustaining a creative community. Before the first Workshopped exhibition in 2001, designers had few avenues in getting their designs in front of the general public. Creating and maintaining successful commercial relationships with industry and the marketplace is also extremely difficult. Many designers who have exhibited at Workshopped exhibitions have their works in commercial production and exposed to potential buyers. The Workshopped Shop presents products designed by Australian designers and available to both wholesale and retail customers. Light This Light That specialises in the manufacture of Australian made LED garden lighting. Our products range from garden spike lights, pathway lights, deck & eave lights, bollards and numerous styles of wall & stair lights. Our products are manufactured using 316 Marine Grade Stainless Steel or Solid Copper. With the landscape industry in mind we have coupled our lights with a unique wiring system which allows for easy installation. Home Automation and Security just a click away Ever thought of automating just a corner of your home? But never had an option as most of the products automate entire home and demand exorbitant investment. Ctec Smart Home offers a smart and affordable solution to automate your entire home or just that corner. 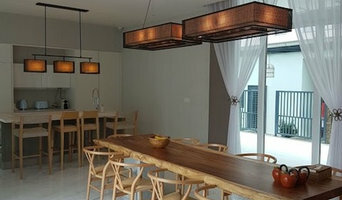 Sydney Lighthouse specialises in Designer lighting & LED Lighting. We offer lighting design services for our retail and trade clients with unique lighting solutions. Our online shop is always open & ready for orders! 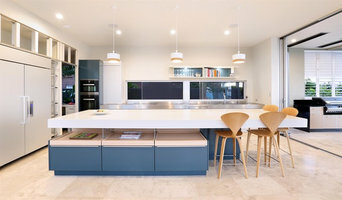 Lighting designers will analyse your Normanhurst, New South Wales home's layout, structure and needs to create an effective lighting plan throughout your home. This may involve the addition of new light fittings but may also include the movement or addition of power points — recommendations to suit your space and your lifestyle. 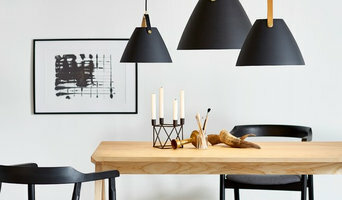 Though electrical engineers or interior designers in 2076 can take on the task of outfitting your home with the appropriate lighting, a professional lighting designer explores lighting as a technique. They can match your style, be it antique lamps to match your eclectic vintage home, or modern wall floor lamps to go with your designer furniture. Think about how you plan to use each area of your Normanhurst, New South Wales home. It's important to communicate to your New South Wales lighting designer which space will be used as for reading and which for enjoying a movie or entertaining, as these will require very different lighting methods. In addition, consider how you'd prefer to control the lights. Lighting technology today includes dimmers, sensors, photocells (that let lights react to the amount of daylight in a space), programmable scene controls (that let you program different settings for varied lighting) and whole-house lighting controls (that let you control all or a portion of your home's lights from one source), allowing you to tailor your lighting controls however you wish. Find a lighting designer on Houzz. 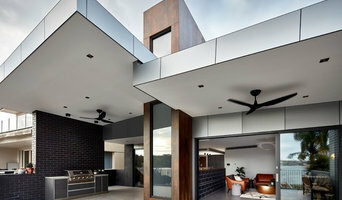 Narrow your search in the Professionals section of the website to Normanhurst, New South Wales lighting designer. You can also look through Normanhurst, New South Wales photos by style to find a lighting design you like, then contact the designer.